I was diagnosed with early stage breast cancer with lumpectomy in October but I'm having four treatments of cold cap chemo AC and was wondering whether the Nioxin shampoo was a good one to use while going through this? Also what's the best for Reflux? This is my first post, so thanks for reading. Hi @Lissie e, Welcome to the forum. Always great advice and a warm and welcoming place to be. Ask anything and help and support will always be available. I had a great run with the cold cap. I used the ecostore conditioner under the cold cap and Viviscal thickening shampoo and conditioner for hair washing. Plus it's a hell of a lot cheaper than the Nioxin or the Paxman one. They gave me Somac for reflux as well. I didn't have a great deal of problem with reflux but seemed to work well on the odd occasion I did. Thank you so much for your advice it's much appreciated. I've only had my first cold cap on Tuesday but l think it's definitely worth it. I will keep in touch and let you know what happens. Is there any other symptoms that you had besides some reflux? Thanks again especially being new to all of this experience. 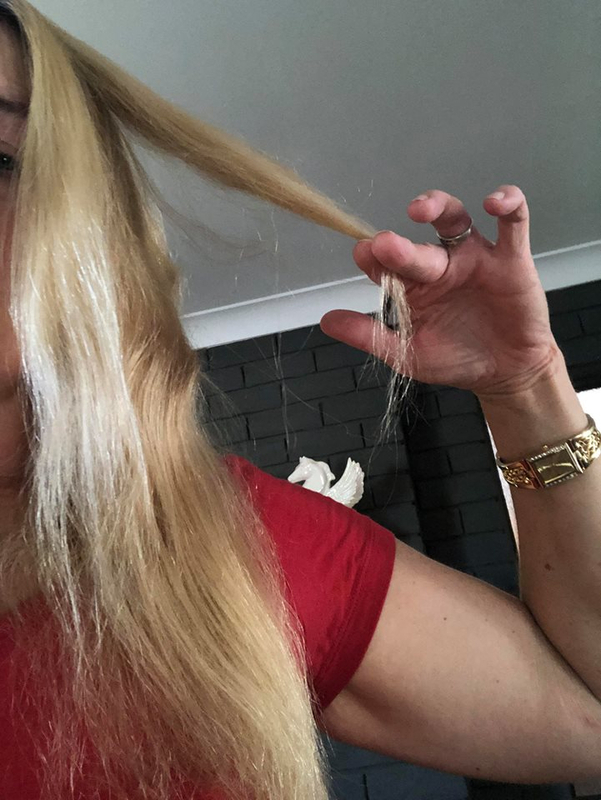 Hi @Lissie I just used QV simple shampoo and conditioner. And I did what the Paxman people suggested re washing only a couple of times a week though @kezmusc has some very helpful hints with that! Also don’t stress when it sheds... I nearly had heart failure but @kezmusc calmed me down and all was fine. @Lissie - welcome to the forum. My oncologist prescribed Nexium for me and I took it from the second round on chemo onwards till about a month after I finished. Never had reflux before but it was terrible during treatment. I just used normal shampoo and conditioner and although my hair thinned lots it grew back so fast! Thanks for the tag @Emie. Absolutely its worth it. Make sure you shove that thing down in the middle every so often to keep good contact with your scalp. Yes, don't freak out when it starts to shed. It keeps it's normal shedding routine plus a bit more. I would say I lost about 2o% over the entire time but it was all even so the only person to notice was me. I was very naughty and the thought of only washing my hair once a week in 35 degree QLD heat was less than appealing. I washed it every day (sometimes twice if I had been working outside) from mid length down (can't fall out from the middle right?) and did a two second flick of conditioner under running water so it washed straight off over my head. Up to you if you want to take the risk with that. The fourth round was a lot harder for me and took about 10 days or so to get back to ok. I went on to paclitaxel then which was sooooooo much easier. The below photo I have just taken. I thought it might give an idea of the actual amount that shed. So this is 18months post chemo. I actually didn't realise how much had gone until it started to grow back at lightning speed. Wow! Thank you so much to everyone for all your advice that helps me so much. Have bought some Nexum over the counter till l see oncologist and that's definitely helping. I ordered the Nioxin on line and ended up with shampoo and conditioner 300ml each for $40 for the both so will give it a go. I'm waking up at all hrs so l had a two hr afternoon nap. My gosh. A bit of a change with no work at moment but pretty positive about my outcome and just going with what my body tells me. So thanks again to everyone and great health to you all. thanks for your info and yes my cold capping going really well and keeping most of my hair just thinning and shedding a little but only one more to go tomorrow!!!! Hip hip hooray. I've been using the Niioxin throughout but only wash once a week as seem to lose less hair after washing being only once a week. Radiation therapy after that and everyone raves about Moo Goo so getting deodorant and body cream tomorrow for that. Maybe try a haircut in a couple of weeks though still no hairdrying for awhile l imagine. I've just gained so much knowledge from everyone on BCNA forums etc and I'd like to say thank you and blessing to everyone on their journey. Everyone is so giving with knowledge and support. Had my last Cold Cap/Scalp Cooling Chemo and now onto radiation in the next couple of weeks. Please if you have the chance to do this with chemo give this a go. I've been so fortunate to keep at least 95 per cent of my hair. Unfortunately it doesn't always work for everyone but it is worth giving it a go. You can go through the public system and the Epworth have been a wonderful support to me. I found lots of useful tips to keeping my hair. Wash only once a week, use wide tooth comb and only comb if necessary, l used Nioxin no2 shampoo and conditioner online at Ebay both $40 it helps with breakage or DeLorenzo Tricho Sensitive for growth, also both $40 on Ebay. I found that combing my hair when wet l was losing a lot more. So, l washed it only once a week and usually the day after my chemo treatment. l worked out what day chemo fell - usually the same day each time. Pulled my hair back each day with soft scrunchie and used cotton scarves from Op Shop or Kmart -cheap..
Used dry hair shampoo lightly toward the end of the week. You will still shed hair every day but gee it was worth it for me. I had four treatments and l never had headaches until my last one and just rode out the 6hrs with nausea but nurse gave me injection for that. So you do need a full day from 9am until 4pm usually and they also usually give you free parking tickets, which is a bonus. You also need to know you have a sedative with this, so you need someone to drive you home. Moo Goo also great for the dry skin and probiotics for the gut helped too. Symptoms aren't great by the fourth day but l just slept and didn't do much for about 4-6 days. I also found not much sleep on the night of chemo as of the steroids and the next couple of nights but that was maybe just me. Anyway I thought this might be helpful to anyone thinking of giving the Cold/Scalp Cooling a go. Goodluck, best wishes and love to you all. Awesome @Lissie. So glad it worked well for you. I had my second round of Chemo yesterday using the cold cap. The doctor said hair loss is likely to start happening after the third round (I’m doing dose dense chemo so every two weeks), just wondering is that consistent with other people’s experience? I don’t seem to be losing anything at the moment.